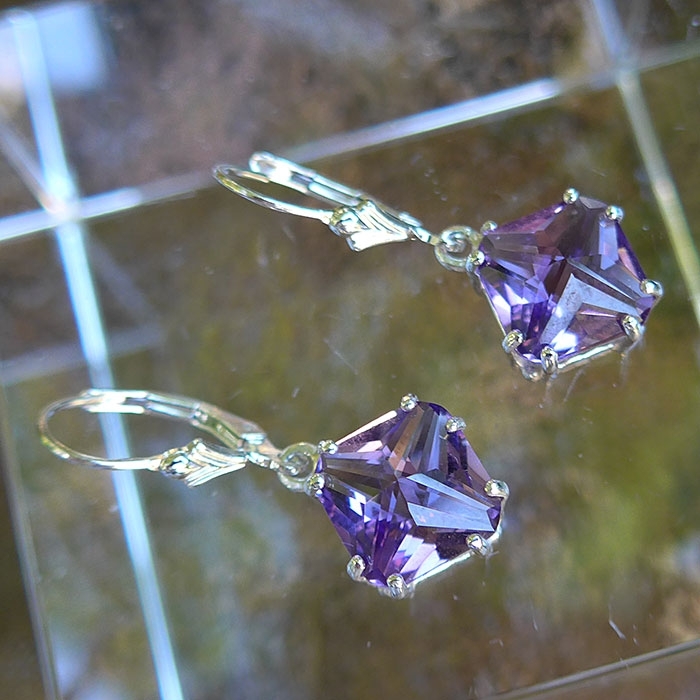 Dimensions (HxWxD): 1.25" x 0.50" x 0.375"
These stunning water-clear gemstone quality natural, untreated Amethyst Magician Stone Hanging Earrings are both a Lightworker's power tool and gem aficionado's collector's item. 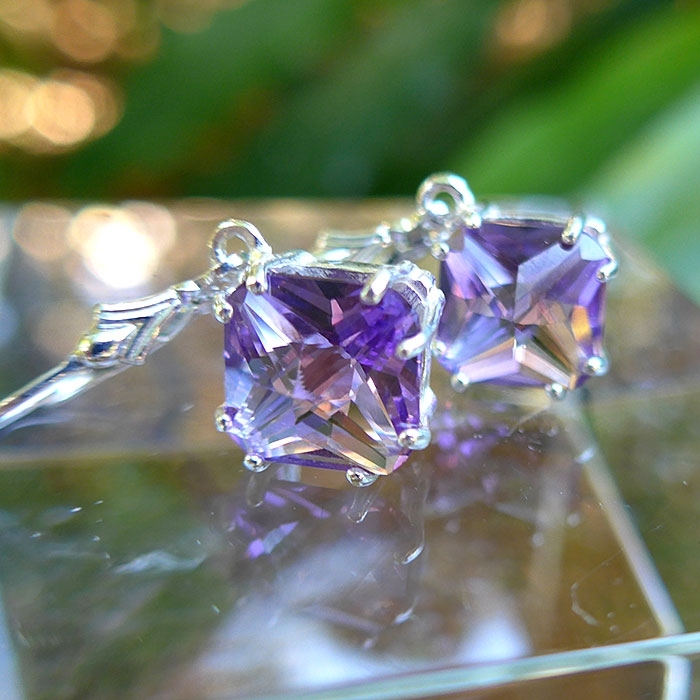 You can feel the energetic signature of this beautiful gemstone just by looking at the pictures on this page! 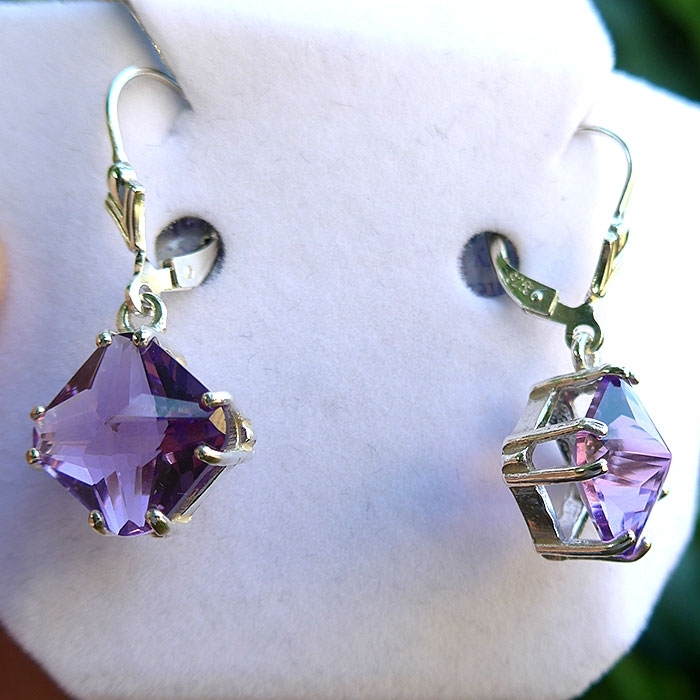 The color violet is associated with the crown chakra in the Western chakra system, while the color purple is associated with the third eye chakra, and amethyst, ranging in color from grape jam purple to lilac and violet, is said by crystal healers to activate and energize the crown and third eye chakras, connecting the bearer to Higher Mind, Higher Realms and inner spiritual guidance from extremely elevated and reliable Sources. Note: Weight above is shipping weight. Actual weight is 4 grams. Each piece is unique and may vary slightly in appearance. 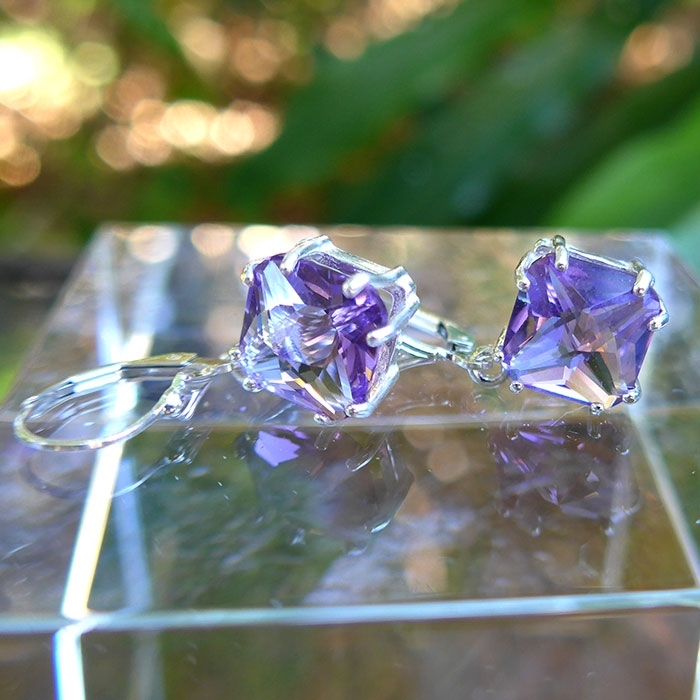 Each piece is guaranteed to be beautiful and to meet with your complete satisfaction!